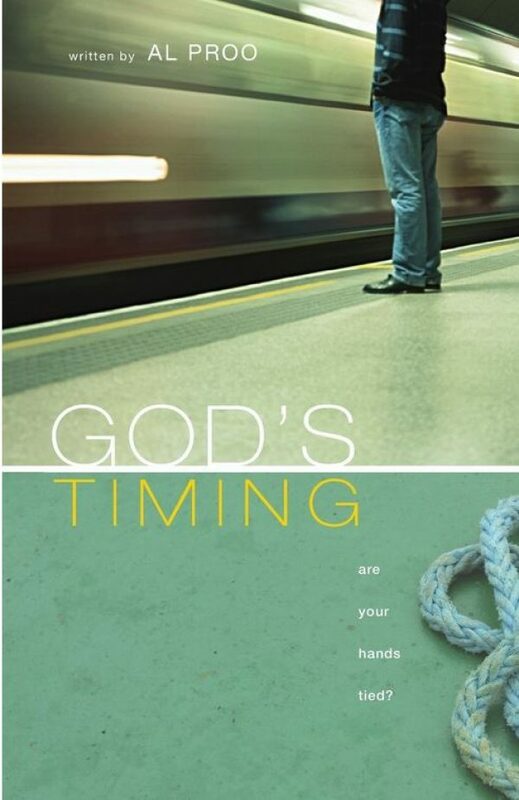 Al Proo, founder and former CEO of Happy Hands, released his first book, “God’s Timing: Are Your Hands Tied?”. His book explores the “why” and “how” of God’s timing. All proceeds of the book will be donated to Happy Hands. Purchase online for $19.99 (shipment included) or call 918-893-4800 to order by phone. Why did God, Who is without a beginning and without an end, place mankind into an environment that does have a beginning and an end? We call that environment, time. The author of “God’s Timing: Are Your Hands Tied?” has dealt with this question for many years as he struggled with delayed or unanswered prayers. In the ministry Al founded, “Happy Hands,” a Christian school for deaf children, he discovered some Truth’s about God’s time and God’s timing and how critical it is to the abundant life the writers in the bible describe. Well? Are your hands tied? We’ve heard it said many times about answers to prayer, that if it happens, it happens and if it doesn’t, it doesn’t. With a lackadaisical attitude, many shrug their shoulders saying, “I guess it wasn’t meant to be and I can’t do anything about it.” The author says there is more to this dilemma than we realize and in his book he expounds on what he has learned from the experiences in his life and in starting his ministry. This book is a revenue generating source for Happy Hands. Though Al is the author, he will not receive any of the proceeds from the sale of his book. Author Al Proo is the founder and former CEO of Happy Hands Education Center for Deaf, Hard of Hearing and other children with communicative disorders. He is a busy executive working hard to raise awareness of issues dealing with literacy in deaf children and fundraising to support his Christian school. Al and his wife, Judy, attend Grace Church (formally Grace Fellowship) in Tulsa Oklahoma. They are one of the leaders in their Sunday school class. They are members of a ministry in their church called “Grace-Ability” which serves people with various disabilities. Al and Judy specifically serve as interpreters for the deaf.